24hr Moisturizing Purifying Face Cream for Acne Bioaroma was added to your shopping cart. 24hr face cream against acne with TeaTree, Bergamot and Geranium. 24hr Purifying cream of Bioaroma against acne with 100% natural ingredients that control the oiliness and sebum secretion and prevent the creation of blackheads offering the skin the necessary hydration. The combination of its precious ingredients act as an antiseptic treatment and make healthier the skin and fighting pimples. 1. Wash each morning and evening to your face with soap and sea sponge with lemon essential oil. Lemon has antiseptic properties and cleans the skin from oily residues while the sponge renews skin cells, making the look automatically healthier. 2. Drop a few drops of undiluted tea tree essential oil on the pimples and see them instantly wither. Tea tree essential oil evaporates immediately but strong antiseptic action remains for hours. 3. 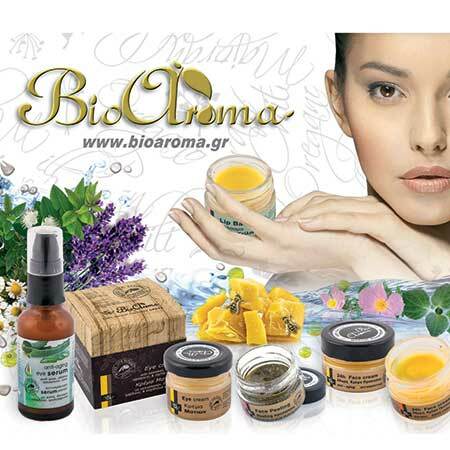 Apply minimum quantity of 24hr Purifying cream of Bioaroma all over your face and gently massage. The cream can be applied under the eyes, as it is 100% natural and generally can be used as a moisturizing cream without the need for another cream. Let 2' to be absorbed. 4. Remember to use aloe gel for extra moisturizing, healing of acne scars, as soothing any redness, but also for a matte finish.